1. Cao, Y., 2012, Heat Pipe Solar Thermochemical Reactor Units, US patent pending. 2. Cao, Y., 2012, Heat Pipe Receivers for Concentrated Solar Power, US patent pending. 3. Cao, Y., Heat engine and Refrigerator, US patent No. 8,176,748. 4. Cao, Y., 2011, Heat engine, US patent No. 7,937, 943. 5. Cao, Y., 2011, Refrigerator, US patent No. 7,784,300. 6. Cao, 2011, “Cao Fuel Cell Stack with Large Specific Reactive Surface Area,” U.S. Patent No. 8,076,042. 7. Cao, Y, 2009, “Cycles of Internal Combustion Engine with Increased Expansion Ratio, Constant-Volume Combustion, Variable Compression Ratio, and Cold Start Mechanism,” US Patent No. 7,624,709. 8. Cao, Y. and Gao, M., 2005, “Reciprocating-Mechanism Driven Heat Loop,” U.S. Cell System,” U.S. Patent Publication No. 20060046123. 10. Cao, Y., 2002, “Waste Heat Recovery Means for Fuel Cell Power System”, U.S.
11. Wang, Q. and Cao, Y., 2001, “Isothermal Journal Bearing,” U.S. Patent No. 6210042. 12. Cao, Y., 1998, “Gas Turbine Rotor Blade,” U.S. Patent allowed. 13. Cao, Y. and Wang, Q., 1996, “Engine Piston,” U. S. Patent No. 5454351. 14. Cao, Y., 1996, “Heat Pipe Engine Cooling Radiator,” U.S. Patent abandoned. 15. Cao, Y., 1995, “Human Body Cooling Suit,” U. S. Patent No. 5386701. Cao, Y., 2012, “A NEW HEAT ENGINE AND ITS APPLICATIONS IN CONCENTRATING SOLAR POWER (CSP),” Proceedings of the ASME 2012 6th International Conference on Energy Sustainability & 10th Fuel Cell Science, Engineering and Technology Conference, July 23-26, 2012, San Diego, CA, USA. Cao, Y. and Ling, J., 2012, “Performance Simulations of a Gas Turbine Disk-Blade Assembly Employing Miniature Rotating Heat Pipes,” ASME J. Heat Transfer, Vol. 134, 051016. Cao, Y., Xu, D., and Gao, M., 2012, “Experimental Study of a Bellows-Type Reciprocating-Mechanism Driven Heat Loop,” Int. J. Energy Res. DOI: 10.1002/er.2889. Cao, Y, 2011, “An Internal Combustion Engine Platform for Increased Thermal Efficiency, Constant-Volume Combustion, Variable Compression Ratio, and Cold Start,” Int. J. Energy Research, DOI: 10.1002/er.1823. Wu, S.Y., Xiao, L., Cao, Y., and Li, Y.R., 2010, “Convection heat loss from cavity receiver in parabolic dish solar thermal power system: A review,” Solar Energy, 84 (2010) 1342–1355. Cao, Y. and Chen. D., 2010, “A Cold-Start Method and Analysis for Internal Combustion Engines Particularly using a Renewable Fuel,” Int. J. Energy Research, DOI: 10.1002/er.1683. Gao, M., Cao, Y., and Zampino, M., 2010, “Ceramic Miniature Heat Pipes and Liquid Charging Methods,” Journal of Heat Transfer Engineering, 31(7):1–6. Power System and its Performance Evaluation,” Journal of Applied Energy, 87 (2010) 452–462. Gao, M., and Cao, Y., and Zampino, A., 2009, “Ceramic Miniature Heat Pipes and Liquid Charge Methods,” Journal of Heat Transfer Engineering, accepted for publication. 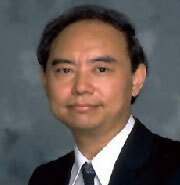 Wu, S.Y., Xiao, L. Cao, Y., 2009, “A Review on Advances in Alkali Metal Thermal to Electric Converters (AMTECs),” Int. J. Energy Res., DOI: 10.1002/er.1584. Electronics Cooling Applications,” Journal of Enhanced Heat Transfer, 15 (4) 313 -324. Mechanism Driven Heat Loops (RMDHL), ASME Journal of Heat Transfer,” Volume 130, pp. 7290. Guo, Z. and Cao, Y., 2007, “Spontaneous Uplift in Biliquid Capillary Siphons,” Journal of Transport in Porous Media, Vol. 67, No. 2, pp. 317 – 322 (6). Heat Transfer, Heat Pipes, Electronics Cooling, Gas Turbine Cooling, Fuel Cells, Internal Combustion Engines, Energy Recovery and Renewable Energy Systems, Heat Engines, Refrigerators, and Solar Energy.